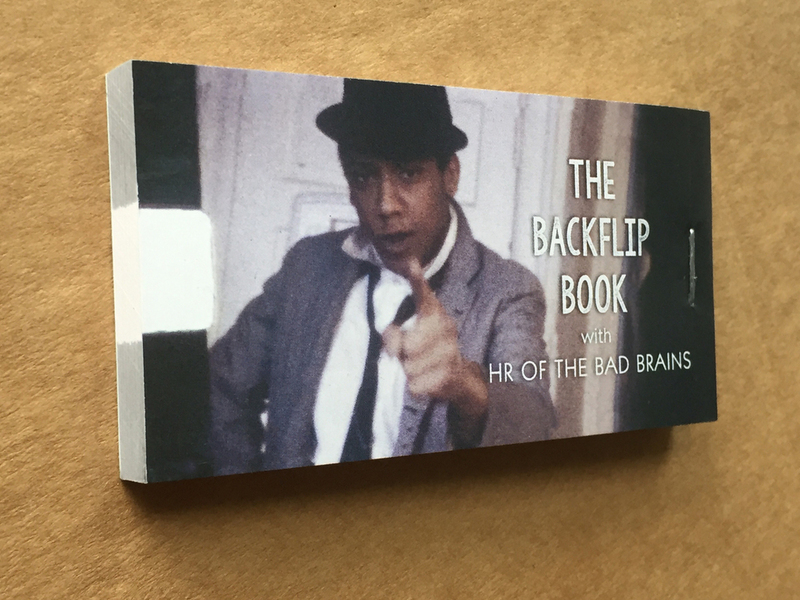 A flipbook capturing Bad Brains' singer HR executing a perfectly-timed backflip during a 1980 performance at Washington, D.C.'s 930 Club. The images in the book are frames from Paul Bishow's Super-8 feature film, Wet Streets at Night, and will be featured in Bishow and James June Schneider's forthcoming documentary, Punk the Capital. Watch a demonstration of the flipbook here.